Vysočina Arena, behind the grandstands, right in the main entrance (the ticketing containers) N 49°34.57468', E 16°3.19120' . 18:30, Vysočina Aréna - stadium, UCI WC gate. Mass-start using the Le Mans technique (with the starting shot the riders run towards their bikes placed on a nearby meadow and immediately start into the race). Vysočina Aréna - stadium, UCI WC gate. The course is very similar to the official WC Short Track course. However, it includes several branching with special obstacles (snow ford, CX labyrinth, Mitas Pneu-Choice, tough-boys refreshement zone). The race lasts 30 minutes + 1 lap. 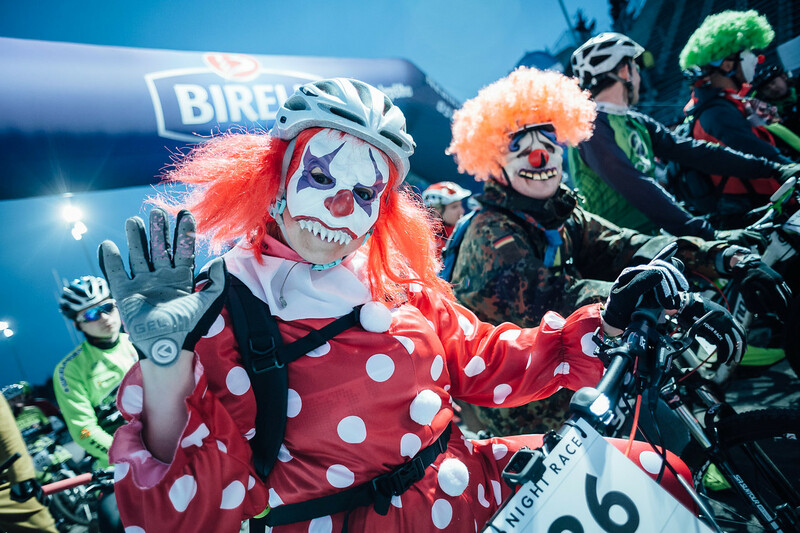 Apart from the fastest riders in the fnish, we will also award the best costumes, the most stylish jump on the stadium drop and several other riders skills during the race. Event withdrawal with entry fee refund is possible until May 21, 2018 at latest. Send your request by email to the Race Director. If you want to be in the books, put your start number on your bike at least! Under the grandstand in Vysočina Arena. Before entering the Bike Party we strongly encourage everyone to put their bikes into the Bike Storage. The awards ceremony will take place directly after the race as a part of the Bike Party.